There are a lot more happening in the transportation sector. 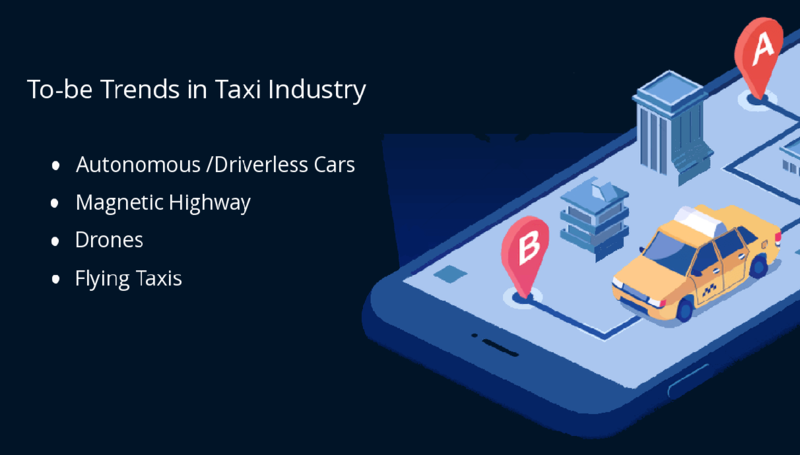 With the advent of taxi management software, technology has revamped the taxi industry to the core and made it highly reliable. A plethora of technological innovations have intervened the field to make it more reliable for common public and more beneficial for businesses. Here are a few innovations that we can expect in the near future. Automotive manufacturers and technology experts have been working on the ever-trending concept, autonomous vehicles. As it requires a lot of groundwork and proper road infrastructure, it takes time for these driverless or self-driving cars to hit the road. Once it is unleashed for use, it would be a tremendous revolution in the taxi industry. Besides several drawbacks, researchers are working toward to improve it for making it suitable for perusal. Autonomous cars become reality now, and it has to be smarter enough to face the plenty of hardships on the road. However, if the road is magnetized, then it will be safer to be relied on for all our travel needs. Magnetic roads are comparatively cheap and relatively noiseless, and besides all, secure enough to accelerate self-driving cars. Drones have already been tested in the logistics sector. Self-driving drones are set to revolutionize warfare. Even a trial has been made on autonomous drones. It is time for passenger-carrying drones to hit the industry. What if a taxi flies? We might have read about flying cars in some comic stories or probably in our dream. Now it is no more a fantasy. The groundwork for flying taxis has been accelerated. The flying taxis would be the next-in-line trend in the taxi industry. While thinking of flying taxi, we may get a picture of a drone in our mind. However, it is not the case with the flying car. Hoping to have revolutionary yet creative flying taxi services soon, which would definitely be a disruptive invention of all time. Necessity is the mother of invention. Transportation cannot be eliminated from human lives as this is what makes us evolve. That is the reason behind all these disruptive inventions.